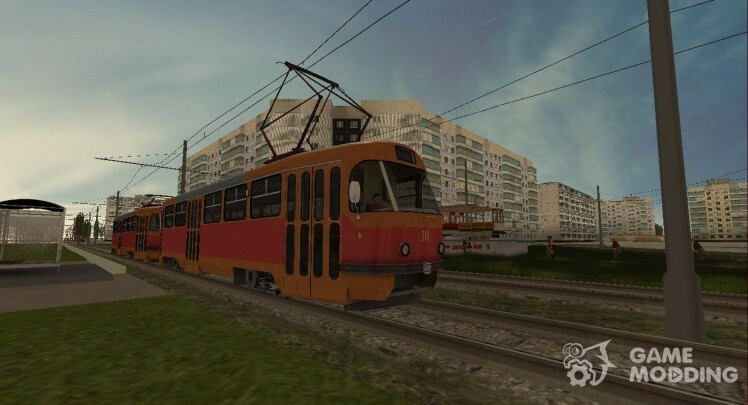 Tatra T3SU Samara "Service Crane"
This car there was no application for the GTA project Province from 2015 to 2017. All rights reserved by team JST Project. The author of the model and envelope - Dem prod. 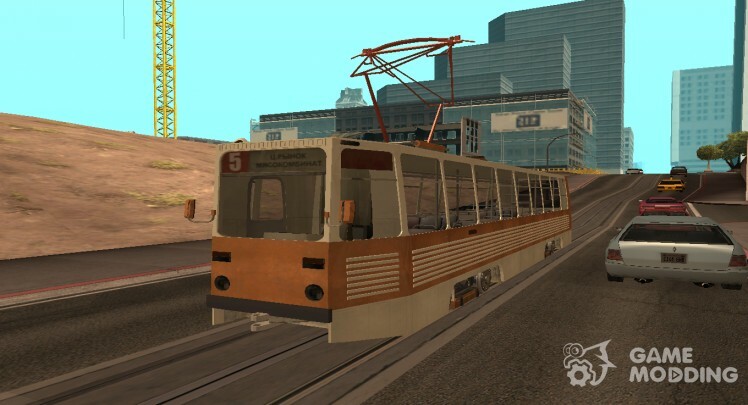 The tram is adapted scripts from the command JST Project. 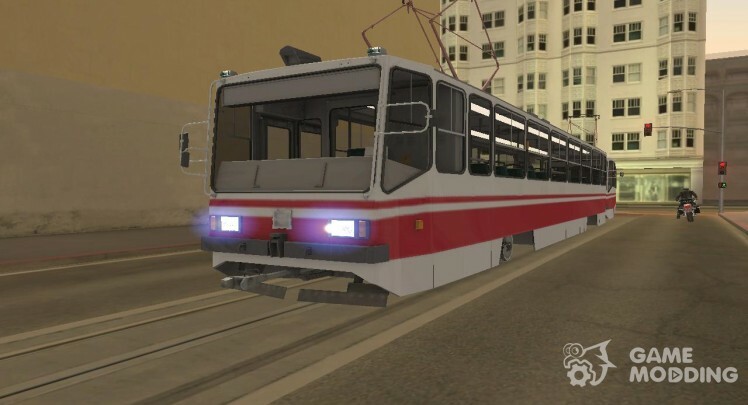 If you want to use this car in my game or the mod or the project or konvertnut in any other simulator, game, please let us know on our mail. In any case, it is necessary to specify the model author and copyright holder. Works in the filter Sump. 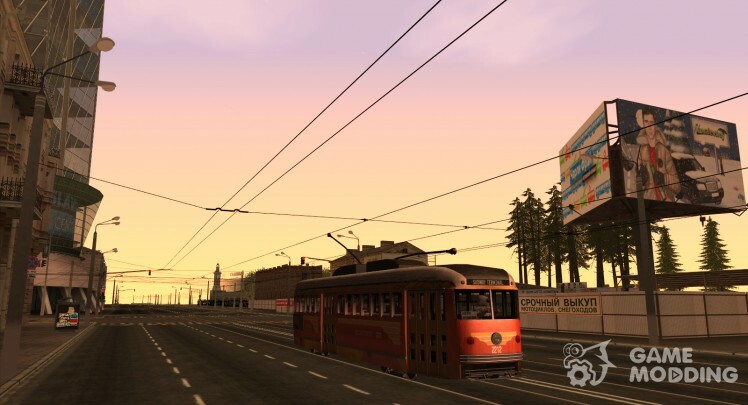 The tram is running with standard settings normal GTA SA. 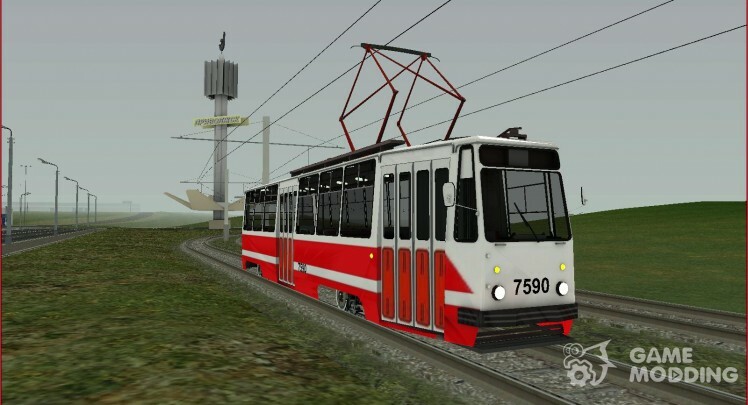 PS Adapted the GTA Province and tram scripts. 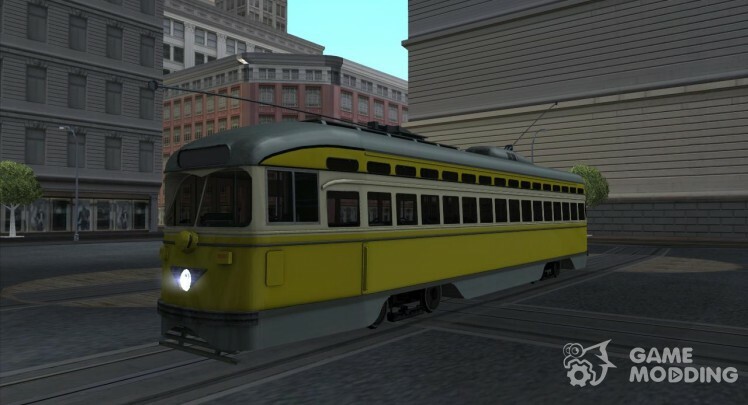 Would add to the atmosphere of the classic GTA SA, the car fits perfectly, maybe in the real San Francisco travel such PCC. American Tatra, an immortal classic - stunning car! 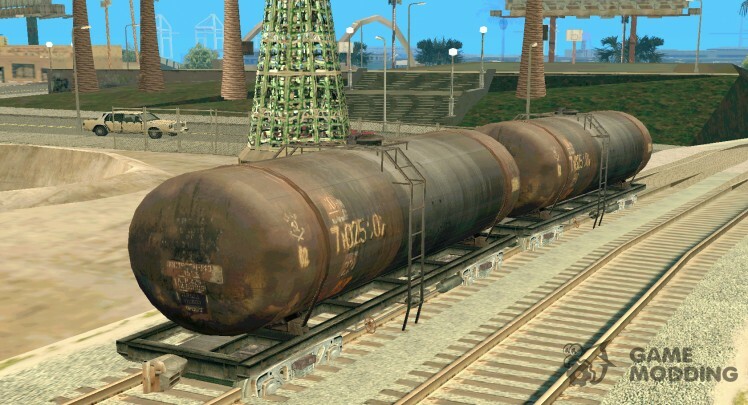 The mod is made at the request of the user TNTMagic3YT. 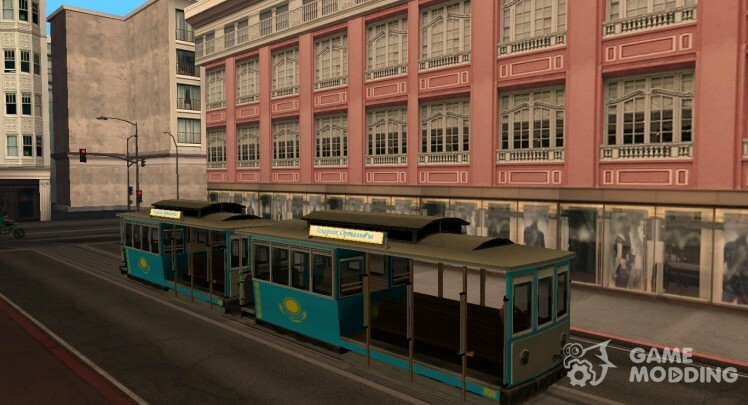 Standard tram, painted in the colors of Kazakhstan's flag. Plaques with the names of the trails made in the Kazakh language. 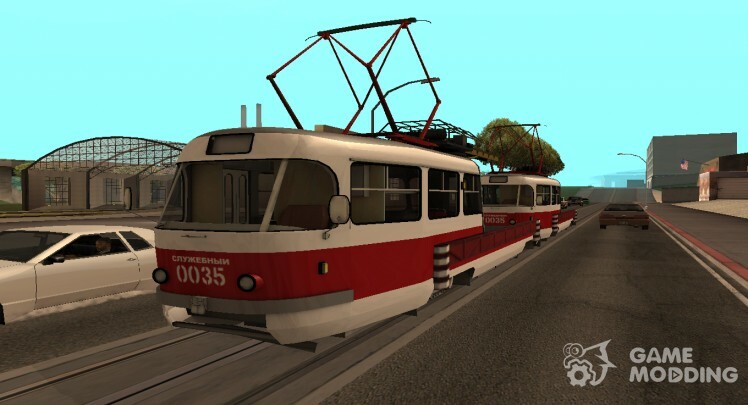 PS: There is a bug - national pattern with the left side of the tram depicted on the other side. I can not fix. 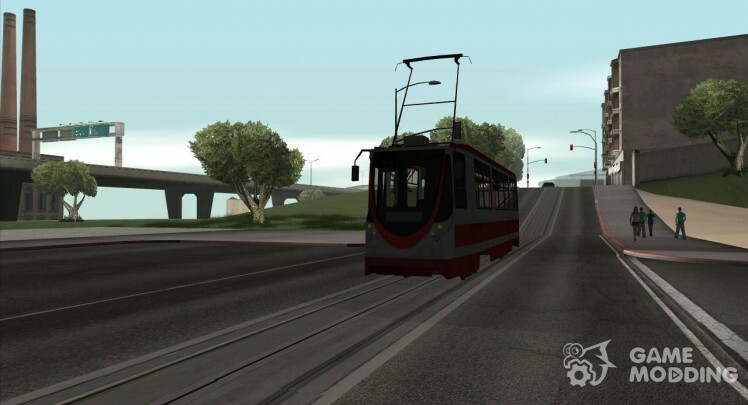 Important: the tram works with standard settings normal GTA SA. 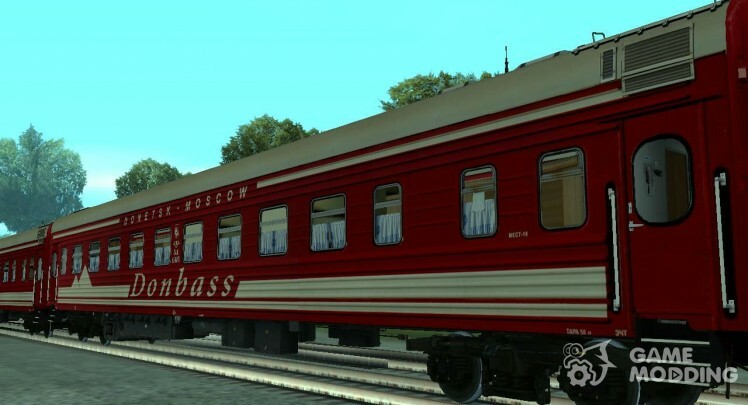 The mod is made in HD quality (with the exception of Tambura). All textures are 2048 × 2048. You can walk around the cabin, you can go. 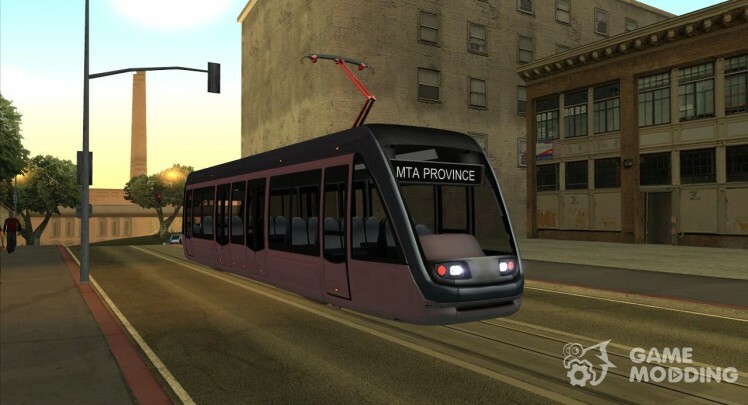 This wagon was operated on a project/GTA MTA Province from 2015 to 2017 year.